Yesterday as I was driving home from the grocery store, I found myself, as I often do, thinking about my next books. The next Boy Band is going to be a LOT of fun and I can’t wait to really get started on it. There are going to be new characters, new songs, and a whole lot of new drama. That being said, I want this book to be special to my readers. 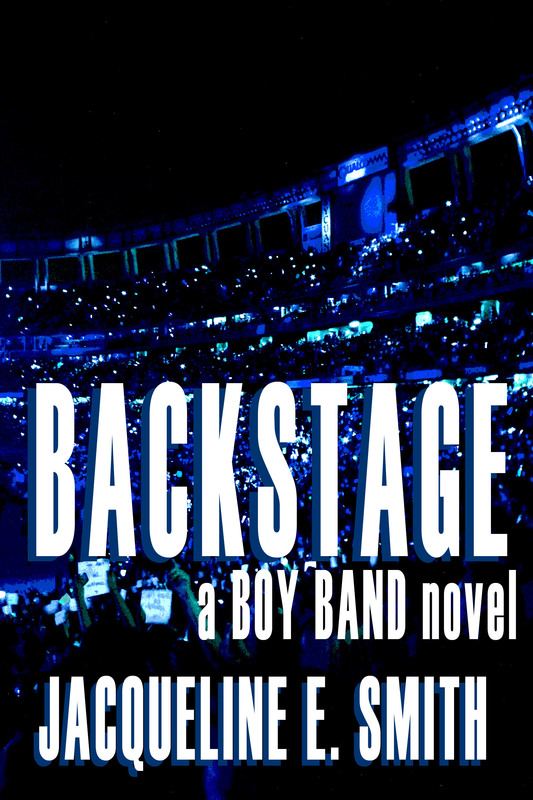 I want ALL my books to be special to my readers, but the first Boy Band has done so well that I really wanted to find a way to make this one as much my readers’ as it is mine. Thus the #BecomeACharacter Raffle was born. Here’s the deal. I want YOU to become a character in the sequel to Boy Band. There are three names available. 1) A friend of the band from high school. 2) A singer in the guys’ opening band. 3) A full length song titled your name (I.E. “Diana” by One Direction or “Hey There Delilah” by Plain White Ts). Of course, these don’t have to be your names. You can name these characters for someone you love or make up a name (Nothing silly though, please. I will not name my character Macaroni. I don’t think this will happen, but still, I feel it needs to be said). These three winners will also receive personalized signed copies of the first Boy Band. How do you enter? It’s quite easy! The site also made me write out some Terms and Conditions, so this is what I came up with. 1. Please be a real human being. Please do not be a robot. 2. If you win, please be willing to provide your email address so that I may contact you about where to send your book. 3. 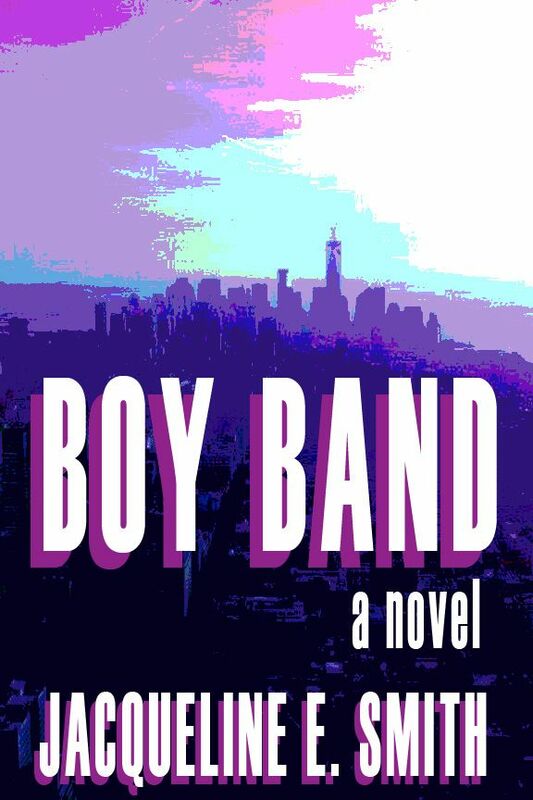 There are three names up for grabs in the sequel to Boy Band: A new friend of the guys’ from high school, a singer in The Kind of September’s opening act, and a full length song written about . If you win this raffle, you get to submit a name (either yours or one of your choosing… You can name characters for friends if you’d like!). 5. Winners will be selected randomly by Rafflecopter. 6. 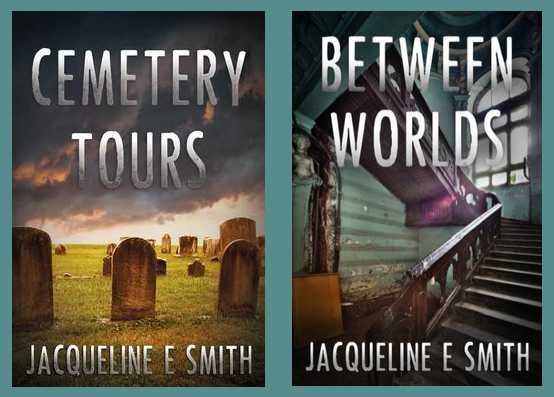 If you have any questions, please feel free to contact me on Twitter (@JackieSmith114), here, or at info@WindTrailPublishing.com. So there you have it! I think this will be a fun things, and it’s open all summer! I think it ends the last day of August. Have a good Monday, y’all! I’m off to see some dinosaurs. Continuing on with my character interviews in which my characters interview me, I’d like to welcome Kate Avery to the blog! Jackie Smith (JS): So Kate, what questions do you have for me? Kate Avery (KA): I don’t know. I’m actually pretty happy with my life. Although, I am curious. What’s up with the Color Anomia? Like, is it actually a real thing? JS: Yep. I looked it up on the internet, and as everyone knows, that means it is definitely a real thing. However, the site I found said it’s more common in men than in women, but I figured a little artistic license never hurt anyone. KA: Interesting. So, am I gonna have this thing for the rest of my life? KA: That’s okay. It could be worse. Though I’ve got to tell you, I am kind of ticked off that you erased all my memories of Europe. JS: Again, sorry. But if you wait another book or so, I might make it up to you. KA: Is that a spoiler alert? JS: Think of it more like a teaser. Gotta keep readers interested. KA: Ah. Gotcha. Okay, so tell me more about my background. Like, why am I the way that I am? JS: I really didn’t want you to be a typical damsel in distress heroine, but I also didn’t want you to be the melancholy, special-snowflake girl either. I wanted you to be a bit of a silly fangirl, but also someone who is strong and independent. I hope I succeeded. KA: I like to think you did. Those are all good things. JS: Thank you. You’re much more appreciative than your boyfriend. KA: Yeah. He’s really sweet most of the time, but he can also be a bit of a smart aleck. He’s got a really dry sense of humor. JS: I know. I thought I liked that about him. KA: So, can you tell me anything about what’s in store for us in the next book? JS: It’s going to be a bit different from the first two books. It’s less of an adventure and more of what it’s like for the two of you living day-to-day as a couple that is constantly surrounded by ghosts. KA: But it’s not going to be boring, right? KA: Well, if it starts going stale, you could always throw in some zombies or aliens. You could write a new character that looks like Norman Reedus. JS: I think you and I have both been watching too much Walking Dead on Netflix. KA: Yeah, probably. But what else have I got to do while you take your time getting this next book out? 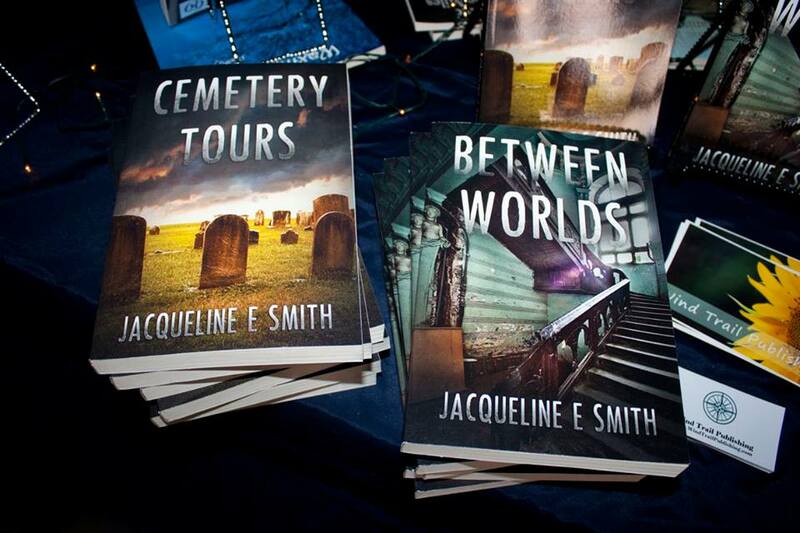 Back when I first started writing, to get to know my characters, I would interview them. I’d make up questions, kind of like a survey, and I’d write out responses as those characters. This is kind of the same idea, except I thought I’d give my characters a chance to interview me for a change. Up first, the serie’s underdog hero and reluctant medium, Michael Sinclair. Note: This shouldn’t contain too many spoilers, but if it does, I apologize. Michael Sinclair (MS): This is kind of weird. Jackie Smith (JS): Yeah, I know. Just go with it. MS: Okay. Well, I guess I’d have to start this interview off by asking… Why me? JS: What do you mean? MS: Why won’t you let me catch a break? Why do you like to torture me? JS: I don’t torture you. You’ve actually got it pretty good compared to a lot of fictional guys out there. MS: I see ghosts, I can’t find a job, I get kidnapped, I get tortured, my girlfriend is always ending up in the hospital… Why can’t you write a book about me where I win the lottery or I take a romantic, ghost-free getaway with Kate to a tropical island? JS: Because you don’t play the lottery and neither of you could afford that. Neither could I, for that mat ter. MS: Am I ever going to find another job? Let’s face it, I’m not going to be able to pay rent much longer. JS: I have an idea for you. I think Luke is really going to like it. MS: Oh, great. Of course Luke is going to like it. You like him so much better than me. JS: Not true. If I did, then he would have ended up with Kate. MS: Okay then, here’s a real question. How come I can see ghosts? JS: It was a story I always wanted to write, especially after I experienced a loss myself. I didn’t really know how to characterize you, however, until I started watching Criminal Minds and discovered Matthew Gray Gubler as Spencer Reid. You know that’s who you’re based off of, right? MS: Yeah, you remind me all the time. I think you like him better than me, too. JS: Wait a minute, I thought you were supposed to be this super sweet, nerd of my dreams kind of guy. Where is all this sass coming from? MS: Don’t ask me. You wrote me like this. Speaking of which, did you mean to make me so two-dimensional or is that just part of the protagonist’s curse? JS: Why do you think you’re two-dimensional? You’re not two-dimensional. MS: All anyone knows about me is that I see ghosts and I feel sorry for myself. A lot. Why didn’t you give me more depth? JS: I totally gave you depth. Your problem is that once you discovered you were the only one seeing these spirits, your entire life began to revolve around making sure no one else figured it out. It didn’t give you a whole lot of room to branch out, and for that, I’m sorry. MS: So, while you were thinking up ways to ruin my life, you never thought to maybe make my power a little more, oh, I don’t know, cool? JS: What does that mean? MS: I mean, you read all these books and watch these TV shows about mediums who can not only see dead people, but predict the future, time travel, read minds, all that stuff. How come I can’t do that? How come I only get the ghosts? JS: Because all of that would make these books a lot more complicated. MS: Oh, okay. As long as it makes everything easier for you. JS: Seriously, are you always this snarky when I write you? I thought I gave you a pretty good life. Cool ghost best friend, cute girlfriend, and at least you’re not like Haley Joel Osment in The Sixth Sense. You don’t see hanging people or kids with their brains blown out. MS: I guess I should be thanking you for that. MS: I’m still not particularly thrilled with you, though. JS: Yeah, I’m sensing that. MS: So tell me, are good things ever going to happen to me? JS: You are far too melodramatic, you know that? And I’m not going to tell you if good things will happen or not. You know I can’t make you any promises. But if it all works out the way I think it will… You’ll just have to wait and see.